We had two weeks of heavy rains at about 4PM each day. On one of the days, I heard pounding on the roof. 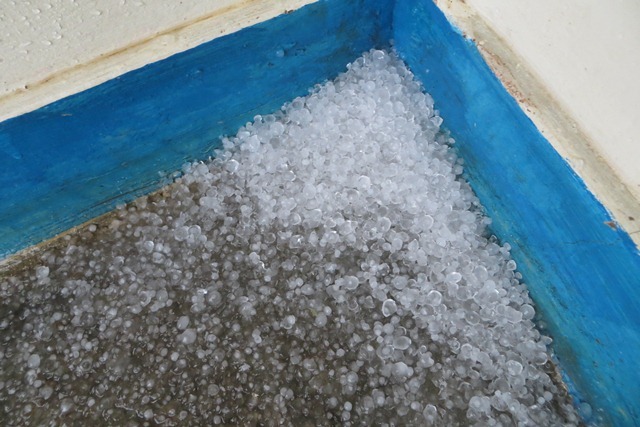 When I investigated, I found that it was actually hailing in Uganda, East Africa!!! Most of the people had never seen hail before. So interesting! The storms here are sudden with gusty winds, and are capable of doing a lot of damage to trees, grass roofs, and temporary shelters. The Lord has protected us with His almight power. We are so grateful.